The Russell Hobbs Henley Black Kettle is the perfect choice for modern homes. The sleek, stylish finish of black and silver stainless steel accents teamed with the fundamental features you’d expect from the pioneers of the first electric kettle not only will it look good on your worktop but won’t disappoint on performance. 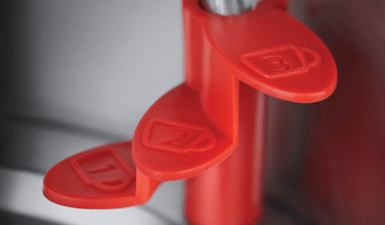 With a generous 1.7L capacity and 3kW of power, boiling large amounts quickly isn’t a problem. Filling is easy too with a wide opening pull back hinged lid. The 360⁰ base with integrated cord storage means you can use it at all angles and it can also be stored away at your convenience. 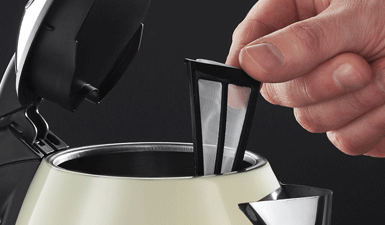 And the removable, washable filter will ensure your kettle stays clean and lasts longer. Featuring a removable, washable filter to keep your water clean and free from bits, which sits inside the spout and can be easily taken out, rinsed under the tap and replaced.